Feng Shui (pronounced fung shway) is the Chinese system of arranging our environments so that we can live more in harmony with our surroundings. It means, literally, wind and water. It is an extremely ancient and well-developed system dating back at least 5,000 years and it has only been known about in the West for the last hundred. It is the science of selecting a living environment where the elements and the energies are in harmonious balance, thereby bringing the good life to those who reside within that environment. Good Feng Shui ensures you to be Healthy, Wealthy and Happy. Feng Shui has been around since the Tang Dynasty. It is believed to have originated from a gentleman known as Yang Yun Sung, who was the principal advisor of the court of Emperor Hi Tsang (A.D. 888), and the texts he developed on Feng Shui are those which descending practitioners based their art. Using over one hundred diagrams, drawings and charts, it covers all the practical elements of Feng Shui, from the best place in the office to have your desk to which plants to grow in the garden. The practice of Feng Shui is a wisdom system of harmonizing in our environment to maximize Auspicious Prosperity in our life. Feng Shui is also an art – a skill borne of experience and common sense – the skill of arranging one’s immediate living and work space to further strengthen this vital balance and harmony. In the West, Feng Shui is a part of the New Age movement that focused on the totality of the mind, body and spirit of mankind. Feng Shui luck brings opportunities, improves chances of success, enhances our living condition and creates peace and goodwill. The following Feng Shui ornaments can be used to enhance prosperity, health and harmony. To ensure correct placement of ornaments for maximum effect, consultation with Master Lo is highly recommended. This will ensure the best results. Dried flowers and dried wood should be thrown out because of their 'dead' energy. However, silk or plastic artificial flowers and plantsare fine. - Used to encourage the flow of Chi. - Used to generate good Feng Shui and bring good luck. 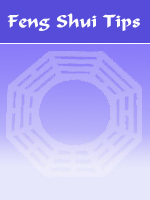 - One of 8 Feng Shui remedies. Allows positive Chi to flow through an area. - The embodiment of male and female essence, they symbolise a strong relationship. - The female Buddha, she calms the environment of negative influences. - Symbol of happiness, wealth, kindness and joy. - Protects against evil influences. - symbolises longevity, fortitude and resilience. - Symbolise defence and protection. - Symbol of strength, goodness, courage and endurance. - Symbolic of prosperity and abundance, especially for business and career.